*Please meet at 2102 5th Ave NW Calgary not Sunnyside Shared. Sorry for confusion. YYC Growers and Distributors is super excited to host their first annual garden tour bike ride*. A newly formed society of local, urban farmers, the YYC Growers and Distributors will take participants to three different SPIN farms (Small Plot INtensive) within the city (all within close biking range of each other) and teach participants how to harvest a different crop and what urban farm life entails. Participants will then take their skills to the dirt and harvest some produce themselves. This produce will then travel from farm to farm in a bike trailer cooler; at the ride's end each cyclist will take home a sample of the day's harvest. There will be refreshments served along the route and some food to nibble on. The ride will be of an easy pace. Our focus here is the farming, so the majority of the time will be spent at each farm, learning as much as possible. This is a great opportunity to engage with your local farmers and learn why they've taken to the soil to help localize Calgary's food economy. It's also a great opportunity to learn just how successful growing in Calgary can be, in spite of all the naysayers who believe the climate too cold. Starting at Grand Trunk Farms in West Hillhurst, the ride will work East towards one of the Dirt Boys large garden in Bridgeland which overlooks the city like no other garden does (it's a very special place). There will be another stop in between... a surprise! This $30 cost of the ride goes to cover the cost of the produce, refreshments on the ride, and pay the farmer who've been busy growing the veggies all year. 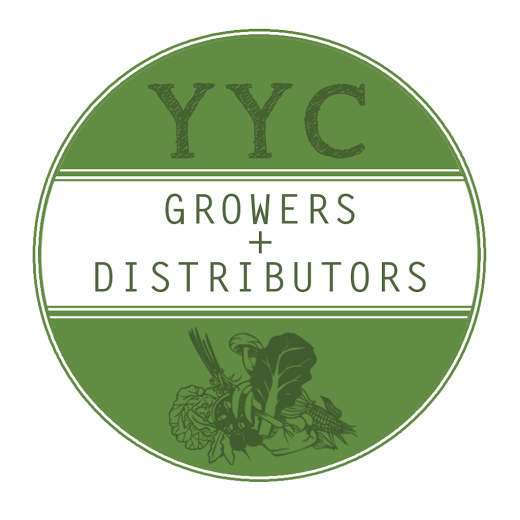 A small percentage will go to YYC Growers and Distributors. Riders need their own bike and clothes. If you have harvesting tools: scissors, hand spade, gloves, etc., please bring, if not, no worries. Would this ride be suitable for a 2 1/2 year old in a chariot? Would we be able to ride with one admission?